A group of women scientists who have been working in Washington as AAAS science fellows have written an open letter to the US congress and the new administration expressing their concerns. The full text is below. This effort was inspired by a letter of 100 women of color and the letter from the National Academies of Science. They have also formed a group, through which they plan to create "strike teams" of group members to address the issues detailed in the letter and other issues of interest to the group members. If you are interested in getting involved, please sign-up on their web page. Note that the letter is not restricted to issues of the US and acknowledges the global nature of science, they welcome non-US-resident-signatories. Image From NASA: courtesy of The Cassini-Huygens Project team. 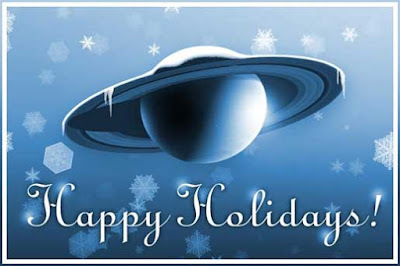 For the past few years, the Women in Astronomy blog has posted a holiday gift guide in preparation for the vast array of holidays celebrated in December. The 2014 post included links to various shopping and blogging sites focused on science and empowering girls (many of which are still useful today), and the 2015 post focused on a gift giving guide from the creators of STARtorialist. Just in time for Black Friday and Cyber Monday, here's the 2016 Holiday Gift Guide, which is mostly links to help get the perfect gifts for the space fans in your life this holiday season. Several statements, in addition to two (Nov. 9th and Nov. 14th) posted via the Women in Astronomy blog, have been posted by groups affiliated with the American Astronomical Society with regards to the recent US Presidential election and the need for inclusion, allyship, and the safe guarding of our colleagues and friends. Three of those pieces are attached (in brief forms with links to their fuller versions) here: The November 9th blog from the Astronomy in Color Blog, the November 18th post from AAS President Christine Jones on behalf of the AAS Council, and the November 20th post on the Women in Planetary Science Blog from the Men's Auxiliary Group who recently met at the Division for Planetary Sciences Conference. Not many people have the experience of giving up a trait which carries with it a significant amount of privilege in our society. When I changed my gender five years ago this month, several of my woman astronomer friends asked me how I experienced life differently after I gave up my male privilege. I thought that I knew some of the answers a year ago and wrote what I had learned in a post, "On Becoming a Woman Astronomer". As I have learned more, I continue to find more uncertainty about my place in the world. I've realized that in significant parts of my life, I'll continue for a long time to be seen as a transwoman because my personal history has two differently-gendered chapters. Here is another annual installment in my unending journey. In my world, being transgender has tended to be positive. Far more people have congratulated me for my courage than have insulted me, at least to my face. This is not true of all of my trans friends, and that difference is always in my mind as I try to figure out how much is good fortune and what I can teach others from my experience. I've enjoyed more involvement in the world, being asked to represent the T of LGBTQ because I'm more out than most of my demographic. An eight-month stint as chair of the board of our local transgender chorus led people to believe that I was a local trans leader. I got to know a bigger sample of the trans community, was interviewed by a local NPR station, and got invited to places I'd never been before. I've also learned that past male privilege has followed me into my new life, maybe because in my controlled experiment I was trying to change only my gender but not my environment. I still get credit for things that I did as a male, so people tend to think of me in a less gendered way than if I had always been a woman. I decided to write about this because of several recent events which made me think about where I am, both in and out of the astronomical part of my life. It started with a workshop on negotiation for women at work two weeks ago, where it turned out that I knew more about negotiation than I expected. I also learned that women have a harder time finding a the right style of argument than men. A couple of days later, I participated in a panel on intersectionality in science at a nearby university as the trans/female representative. I got a lot of time to listen to the concerns of undergraduate women and realized that I'm probably too old to experience the harassment that younger women seem to get almost everywhere. By missing that kind of experience, I won't ever quite feel what other women in science (or elsewhere, for that matter) feel. Then there was the election, which seems to have brought out a backlash against women, especially those that act out of the box, and trans people. I still tend to act as if I can do anything without having my gender questioned, but now worry more that I will inadvertently out myself as trans when I don't want to be. Other minority groups seem to be more open to me than they were before I changed, and I try to be as open to them. It's been interesting to move between single-race groups which are trying unsuccessfully to be more inclusive and other groups which just are inclusive. I keep trying to figure out how what I've learned from my own intersectionality can be used to include and empower divided demographic groups in my city, state, country, avocations, and profession. Just this past weekend, I attended a 25th anniversary meeting of the East Coast Greenway Alliance, which I helped start. Most of my original colleagues, who I had not seen for many years, were there and instantly accepted me, though with a bit of surprise. While our planned trail goes through all of the major cities on the East Coast from Maine to Florida, including a quite diverse population, its support group is maybe even whiter than astronomy, despite early attempts to be more inclusive. There is a lot of work to be done! 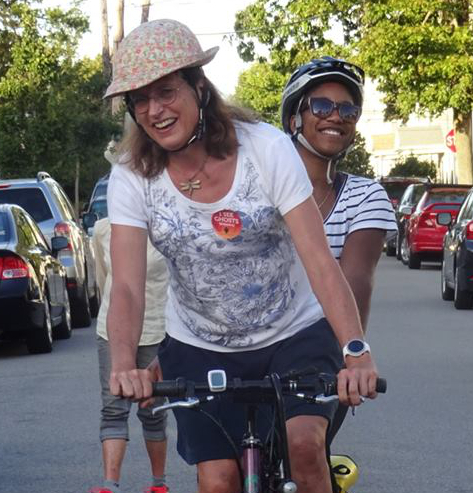 I returned to my Boston community for Saturday dinner in honor of a black woman bicyclist who had just biked across the country with her violin and dog. The group was integrated racially and a major contrast from that I had been in all day. It's not that the constituency is not there, just like there are people of many races who want to be astronomers. We all need to think about what the barriers are and how they affect how our profession connects to the world. This is a modified version of the full blog post, at the request of the AAS leadership. My heart is sick. I like to think I’m fairly realistic about our world, and our country. Those of you who know me know that unbridled optimism is not my going-in position. But I still have spent this week struggling with the fact that this is where we are. Several people have commented to me that it has felt like a funeral. Probably because it is. First, I want to write to all of you who are in and out of a dark place. To all my minoritized friends and colleagues. You are not alone. And I don’t mean that in the abstract way. I mean that in the “reach out and I’ll be there, call in the cavalry” sort of way*. To everyone who is scared for their family, scared about losing their rights, scared about the sharp spike in hate crimes over the last few days - You are not alone. We will prepare, and we will fight this. To those of you preaching appeasement and patience: No. We know what that looks like. We are better students of history. I am not afraid to stand up to protect the existence of those who society has pushed to the margins. I am not afraid to stand up to protect myself. I encourage you to keep a critical eye on the world around you. Like the proverbial frog in the slowly warming water (not a thing, by the way, so don't try this at home) one must be careful to not constantly acclimate in the drift towards tyranny. The signs are subtle, but not impossible to see. Long before the lists are made, we will begin to censor ourselves and those around us out of fear. Do not let fear guide you. The Southern Poverty Law Center has been tracking hate incidents. In particular, notice two things: First, although the hate is broadly distributed, anti-Black and anti-immigrant sentiment feature in the majority of attacks. Second, look where the attacks are happening: Schools and universities. It is crucial we stand up and use our voices to repudiate this violence and hateful rhetoric. We must use our bodies to shield those being attacked. *Seriously. Reach out at tuttlese at uw dot edu if you need to touch base. Our country is currently in a moment of reflection. And as everyone discusses the political changes that may occur, I’d like to take a moment to thank all of our allies out there, and ask that everyone remember to love and respect each other. 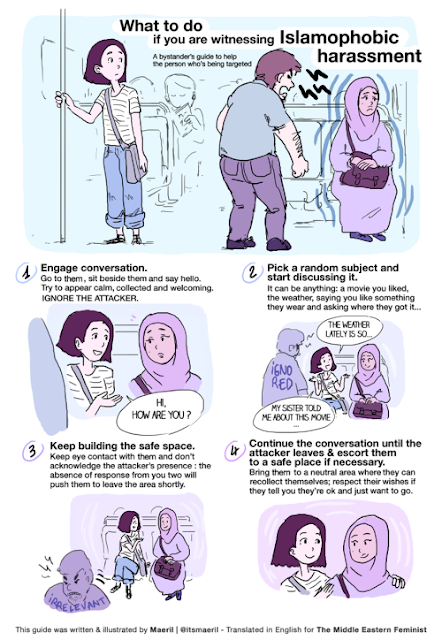 We as a community (in STEM, and specifically in both Astronomy and Planetary Science) have been discussing allyship and bystander intervention for some time now, but these discussions have increased in intensity in the past year. An illustrative guide to bystander intervention from Maeril. Thank you to Maeril (twitter: +itsmaeril) for giving us permission to use this illustration! In our series on the Women in Astronomy blog, we'd like to introduce our readers to the Committee on the Status of Women in Astronomy. 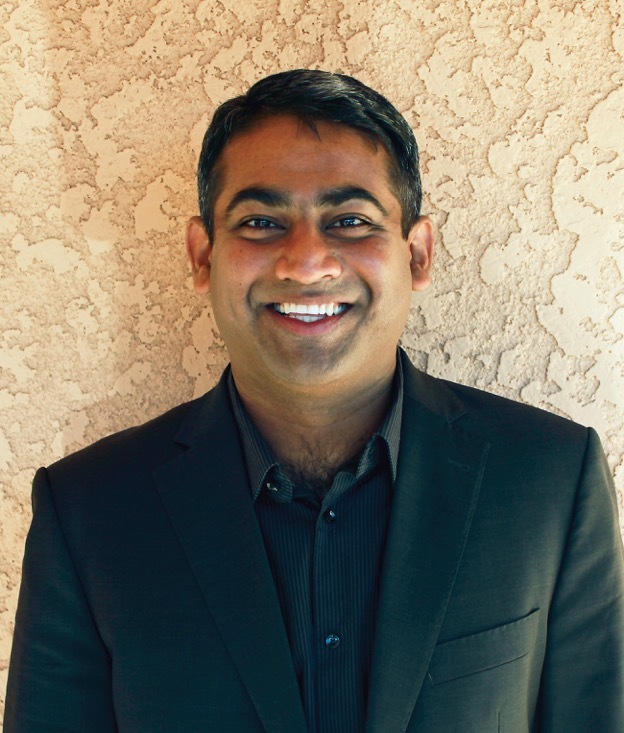 Vishnu Reddy is a tenure-track faculty member at the Lunar and Planetary Laboratory, University of Arizona, Tucson. His research focuses on detecting and characterizing natural and artificial moving objects for NASA and DoD. He obtained his Ph.D. from the University of North Dakota, Grand Forks, in 2009 and worked as a research faculty there till 2012. Prior to working at the University of Arizona, Reddy worked as a research scientist at Planetary Science Institute, a non-profit based in Tucson. Reddy served as the press officer for the Division for Planetary Sciences of the AAS for six years and has actively participated in NASA community service activities. He is married to fellow planetary scientist Dr. Lucille Le Corre and they live in Tucson, Arizona with their cat Loki and horse Hokuloa. 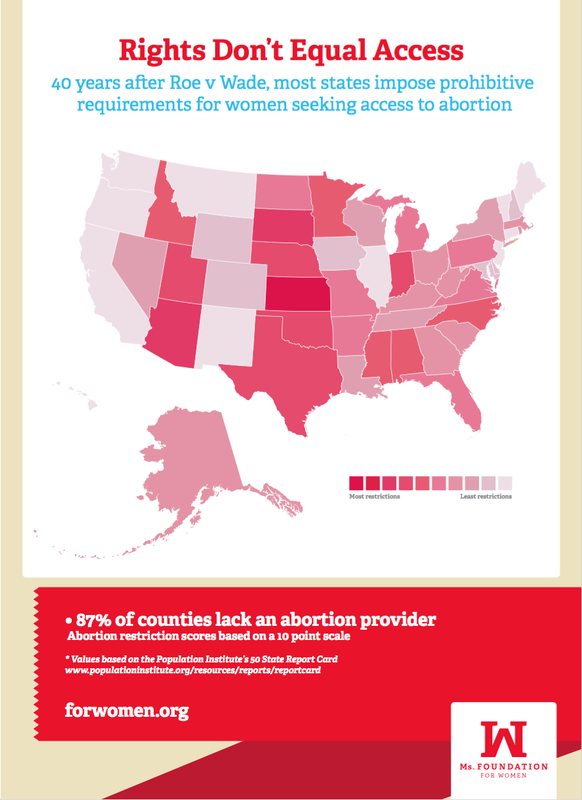 Poster image and data from forwomen.org. Today's guest blogger is Anonymous. Anonymous is a PhD student in planetary science, holds a national graduate prize fellowship, and identifies as a woman of color. She has completed undergraduate and masters-level degrees at top-tier institutions and is looking forward to a long and rewarding career in STEM. Note: Although we moderate comments on this blog, due to the personal nature of this post we have decided to remove the opportunity to comment. This summer, I learned firsthand the consequences of an under-considered policy that affects all Americans in astrophysical sciences capable of becoming pregnant: the Hyde Amendment. It’s a policy that the Republican ticket would only strengthen and one that Hillary Clinton has already promised to instead overturn if elected President. At the start of the summer, my partner moved in and despite our best efforts to the contrary, I became pregnant. It took a while for me to realize I was pregnant. I’m a part of a research team working on a large space grant and we had our penultimate grant progress meeting quickly approaching. I thought the work stress was both making me get a terrible cold and pushing the arrival of my period. I just really didn’t think I could have become pregnant and, until then, I never knew how much the first trimester can feel like having the flu. Ten days before the grant progress meeting, realizing I was smelling things my weak nose had never before smelt, it finally occurred to me to wonder if I were pregnant. Immediately after the stick’s “+” sign lit up, I called the local women’s health center naively hoping I could schedule an abortion for that very afternoon -- after all, when a friend of mine once drunkenly crashed his bike into the curb on Friday, he was able to get his front teeth replaced Saturday morning. It seemed to me that in pretty much all medical emergencies getting an appointment within 24 hours would be standard. Of course, because there are ample male politicians who fear women behaving similarly to men and rely on forced gender roles to feel masculine, there are strict abortion laws around the country and abortion is not considered an immediate medical necessity (think about how these people consider IVF vs abortion). This forces Americans with unwanted pregnancies living in such restrictive states to fly to more progressive states (like the one I live in) to be treated. Thus, having an abortion on the same day was out of the question; I’d have to wait a week. During that week I felt like Dr. Elizabeth Shaw from the movie Prometheus and for the first time really understood the emotions that could drive a person to stick a clothes hanger in their body. I have no desire to become a parent while finishing my PhD and even if I did, my uterus has congenital medical conditions that make it almost certain any pregnancy I pursue will only lead to a late-term miscarriage -- the very sort of miscarriage that Mike Pence has had women of my skin hue imprisoned for in Indiana. My appointment was set for the Friday before my Monday grant progress meeting. The woman scheduling my appointment told me I should budget at least 5 hours at the clinic and, for security reasons, no electronics would be allowed inside the clinic (goodbye laptop and research work!). Because I was early in the first trimester, she told me to prepare for having a medication abortion -- I would need to totally clear out my Saturday schedule and plan on spending the day on painkillers and anti-nausea meds while alternating between the bed and the toilet. The real surprise for me came towards the end of the call. “What is your insurance? Mmhmm, ok, you should be prepared for them to not cover this procedure.” Because my health insurance plan receives federal funds, the Hyde Amendment prevents it from covering an abortion unless I can prove “continuing the pregnancy will endanger [my] life.” Luckily, my partner and I were in a secure financial situation so we could weather the immediate costs and, with the help of the clinic, I was also able to prove the medical treatment had been a necessity by filing a claim after the abortion (and grant progress meeting). Two months later, I was reimbursed $366 out of the $489 cost. Most people think of the Hyde Amendment as just hurting low-income women (of color) on Medicaid or women refugees (of color) dependent on USAID. These women obviously need this basic coverage, and who knows, perhaps the coverage could enable them to pursue educational opportunities that’d lead to an illustrious career in astrophysical sciences. However, what most people overlook, is that the Hyde Amendment doesn’t just hurt these easy-for-society-to-ignore women. It hurts ALL people capable of becoming pregnant whose health insurance is part of a federal plan. I could be the director of NASA and my health insurance still would not cover one of the simplest, safest medical procedures there is. And if I was working at NASA’s Johnson Space Center in Houston, TX, besides not having my health insurance cover the procedure, I would have to wait 20+ days for the procedure -- a length of time any busy scientist would agree is unacceptable. This lack of coverage furthers the gender pay gap since it forces people to use up more of their income for basic (but gendered) medical treatment and it also exacerbates other gender gaps at work as these people lose more work time to take care of basic health needs. The presidential election isn’t the only vote that matters for this issue -- in fact the outrage over recently much discussed “locker room talk” just shows how important it is to vote down the entire ballot against candidates who have felt entitled to control and belittle the lives of women, especially women of color and queer women. Being able to sit at the table, to lean in, and speak up depends on being a respected, autonomous person. Being respected and considered autonomous in the eyes of the law is the first step in fully being a respected, autonomous person. Grab that respect and autonomy for yourself by voting. Double check that you are registered, double check where to vote. Then, go vote.